Thanks to Beatelectrio for posting this video. This picture was submitted by a dude named Mike. And apparently Mike is 16 feet tall because there’s no way a poop this size could form in any other person. In an attempt to be more family friendly (mind you, as family friendly as a site about poop pictures can be) we’ve changed the URL to www.fullofshart.com. 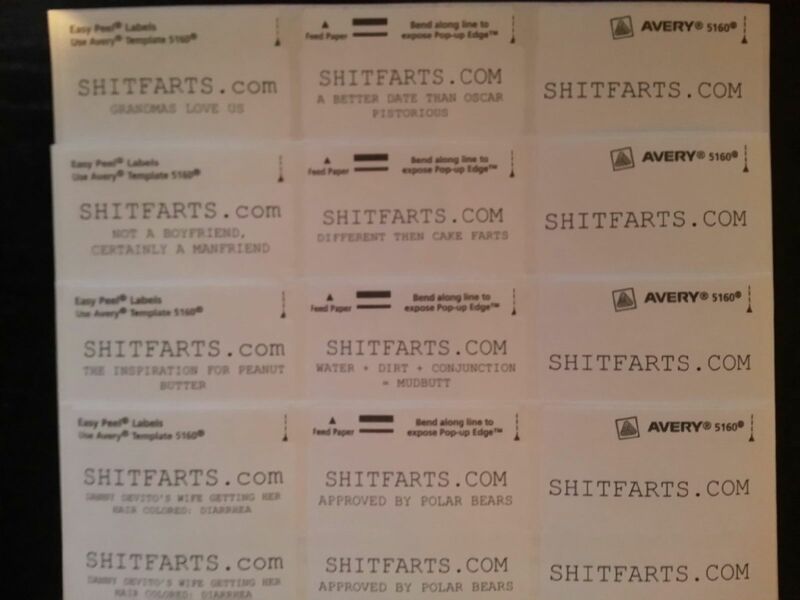 www.shitfarts.com will still work, as we still own the domain, but now it’ll redirect to www.fullofshart.com. Just a heads up if you pop in and notice something different. We’re still dedicated to bringing you gross poop pictures and other people’s YouTube videos like we always have. 99% of this monster makes it out quickly and only 1% has to squeak by in a little puff. The beautiful thing about this is that you, the viewer, can you make your own. You just need some label paper and a version of Word that will open this attached .doc. Check it out, make your own, and let us know if you come up with some good ones.